Traveling is one of the best ways to connect with yourself. Nothing compares to the learning and exposure from different cultures and the hundreds of new experiences that travel brings. But we’re preaching to the choir here. You already know the joys of travel, and the challenges too. But do you know that as a holder of an Indian passport, a large part of your planning is already taken care of? Thanks to the convenience of the e-visa. Yes, you heard that right. There are countries that offer visa on arrival, but there are many more exciting destinations that make it so easy and quick for you to apply for visa online and to receive your e-visa. Here’s a list of the amazing destinations that you can now add to your must-visit places. Thanks to the online visa, travel in 2019 just got easier. There is nothing like a nation that does all that it can to welcome tourists. The Oman online visa is expected to boost tourism in this nation. The country is a traveler’s dream destination, with its rich history, modern trappings, and the vast desert to thrill and excite. If you’re visiting for the first time, we recommend enjoying the usual sights, like the Royal Opera House Muscat, the Sultan Qaboos Grand Mosque and Bait Al Zubair, a museum that holds the history of Oman within its walls. Once you’re done with these, check out some unusual things that Oman offers to the traveller looking to enjoy the country as the locals do. Majlis Al Jinn is a deep cave that has an interesting story around its origins. Allow the locals to regale you with their colourful ways. Then there is Al Hoota, a two million years old cave with a rich ecosystem housing a rare species of blind fish. Spend a night atop a mountain village at Misfat Al Abriyeen. Now that’s something not many people can tick off their to-do list. 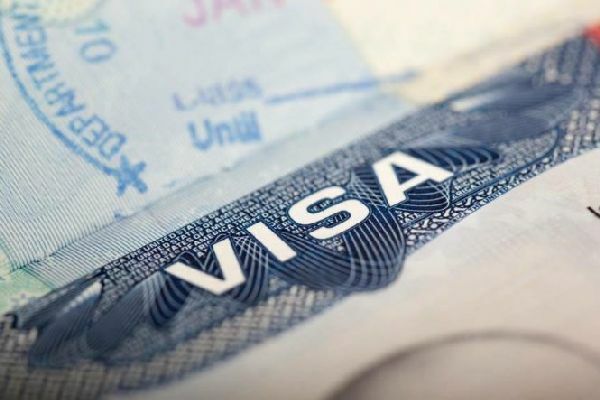 Are you ready to apply for a visa online? Sri Lanka is a pearl-shaped country to the south of India that offers varied landscapes, lush rainforests and sandy beaches to tourists from across the world. Get your Sri Lanka visa online, and get ready for a delightful vacation visiting many ancient palaces and frescoes, including the city of Anuradhapura. Sri Lanka has always had a strong Buddhist presence, and the 5th century citadel Sigiriya, the ancient rock fortress, is world famous for its historical and archaeological significance. Those looking for an off-beat seaside destination should head to Trincomalee where you can dive with blue whales and dolphins. Sri Lanka, with its national parks, also offers you the opportunity to spot leopards and wild elephants right by the ocean. You can also sight pelicans, peacocks, painted storks and other birds that flock to these coastal water bodies. Don’t miss stopping by at a local eatery to enjoy a delicious meal of curries, red rice, and curried fruits, alongside a generous helping of ‘kiri pani’. If you’ve chosen to visit Turkey, believe us, you’re in for a treat. The nation has seen many an empire – from the Greek, Persian, Byzantine, to the Roman and the Ottoman – come and go, and each one has left a distinct impression on the country’s heritage. Besides spectacular ruins telling a tale of a rich culture, the country is famous for its natural beauty and massive landscapes. The Blue Mosque, Hagia Sophia – a church that was also a mosque, the Grand Bazaar and the Spice Market are must-visit places. A Turkish bath is a must, but if you want the real experience, skip the one in your hotel and head to a real Hammam. Don’t worry, the genders are separated, but the experience is exhilarating, to say the least. Hop aboard a public ferry in Istanbul to see the city in all its glory. It’s cheaper and there are fewer tourists wanting to grab the best spots. Before we forget, a trip to the Basilica Cistern, an underground water reservoir from the 6th century, is highly recommended. Turkey also has the Avanos Hair Museum, the ancient statue site of Nemrut Dag, and the rock tombs of Myra, for those looking to come back with an out-of-the-world Turkey vacation. And all this is just an online visa away. From a small fishing village to a country that has a spot on the tourist map of the world Vietnam has come a long way. Despite the many modern cities, Vietnam still holds on to its natural charm and you will see that in the many hills, forests and rivers that abound in the country. A typical Vietnamese vacation must include a visit to Ho Chi Minh City, Mekong Delta and Ha Long Bay, along with trips to flea markets. But if the traveler in you wants something more exotic, we’ve got just the right places to visit and things to do. Visit Thuy Tien, the Water Park that could have been. Shut permanently, it still allows visitors to walk about among the attractions that are slowly falling apart. Spend a night at Crazy House Da Lat, the world’s wackiest guest house. Equally scary is Hell (and Heaven) Cave, a dark cavern tour that depicts hell and suffering. Don’t be scared, things eventually look up when you enter ‘heaven’ at the end of this ‘hellish experience’. Rappel down raging waterfalls, slide down rock slides and go trekking in some of the most unheard of places. All you need is to contact a local adventure company and within no time you will outdo your expectations. The best way to travel the country is by rail or to go on a road trip. If a trip to Thailand means lazing on pristine-white beaches, snorkeling in blue waters, ancient Buddha temples and the rush of the famed nightlife, then you wouldn’t be wrong. And for this you must have Thailand Visa nad visit Bangkok, Phuket and Pattaya. But if you’re looking for an offbeat holiday, there are several other places that you can mark up. The rice fields and waterfalls of Pai, for instance, will take you away from the bustle of the modern city. Chiang Mia is a relatively lesser-known tourist spot that has everything that Thailand stands for. At Koh Lipe, you can bask in the luxury of having an entire island to yourself. Sukhothai, Thailand’s first capital, takes you back in time and amazes with its many UNESCO world heritage structures. The best way to see the place is on a cycle. Malaysia is a fantastic potpourri of experiences. You can get the best of the modern world and a rich history, mixed liberally with nature’s bounty. Whatever your interest, the country will not disappoint. While you wait to get your Malaysia online visa, it’s time to plan your vacation. Some of the top sights to visit in Malaysia include the Petronas Twin Tower, the Genting Highlands, Batu Caves and a ride in the Langkawi Sky Cab. If you are looking for a unique experience, perhaps it’s time to hop off the beaten path and try something new. Trek in the Gunung Mulu National Park and walk through caves, waterfalls and ancient rainforests. Barely an hour’s drive from Kuala Lumpur, at Kuala Selangor, is the nation’s best-kept secret – a Firefly Park Resort. Ipoh is a quaint city with culture leaping off its every corner, and with culinary delights, museums and theme parks for kids too. And at a little distance is a 260 million-year-old hot spring. Bukit Tinggi is another attractive town, styled after a French holiday village. Georgia might be a small nation, but it packs quite a punch. From world heritage sites, natural beauty, snowy slopes, and a world famous wine, this place has it all. When in Georgia, you must visit Tbilisi, Svaneti, Kutaisi (wine garden), and Batumi. However, to make your vacation unique, here’s what else you can chalk up while you apply for your Georgia visa online. Georgia has several monasteries, but one that you must visit is the Gelati Monastery outside Kutaisi. A short bus ride should get you there. Signaghi is a must visit if you are a wine lover, but that need not be the only reason. You will fall in love with the quaint town immediately. We all know the Chronicles of Narnia, but not many tourists are aware of the Chronicles of Georgia. A massive monument outside Tbilisi, this traces the history of Georgia. There is also a wonderful view to enjoy. Step 1: Fill in the required visa details and get quote. Step 2: Pay online using your debit or credit Card, or through net banking. Step 3: Submit the required documents online or at the closest Thomas Cook branch. Step 4: Get real time updates on your Visa Status and receive your online visa easily. The world is waiting, and some of it with open arms. It’s just up to you to decide where you wish to go. Let us take care of your visa requirements, while you simply enjoy your time off.